I’m getting ready to have a monsterific Halloween! 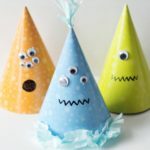 This week on the blog I have been sharing some fun monster party ideas. What every monster party needs is some tasty treats! 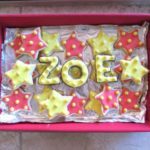 I have compiled a list of tons of Monster party food from some very talented and creative bloggers. 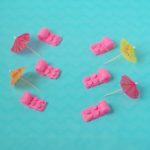 You will have everything you need to make that monster party extra cute and tasty. There were too many ideas to just have them in one post so I had to give the food its own post. 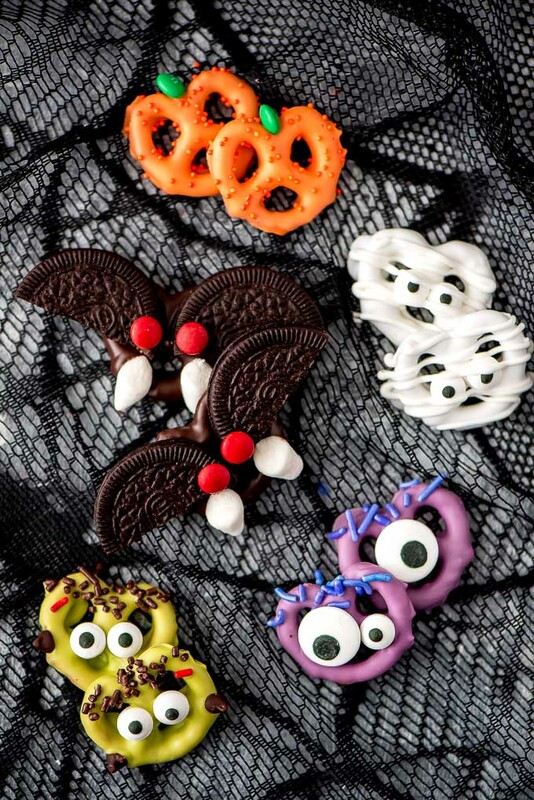 Looking at all of these adorable monster treats might be turning me into a hangry monster because they look so good! 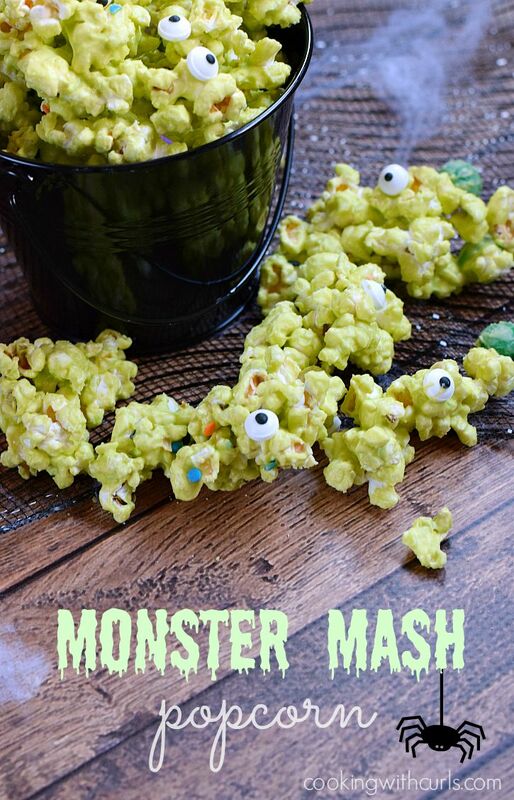 You will definitely want to make something cute for your little or big monsters this Halloween! These Monster Eyeball Cookies from Organized 31 are eyeing me and I can wait to try them. 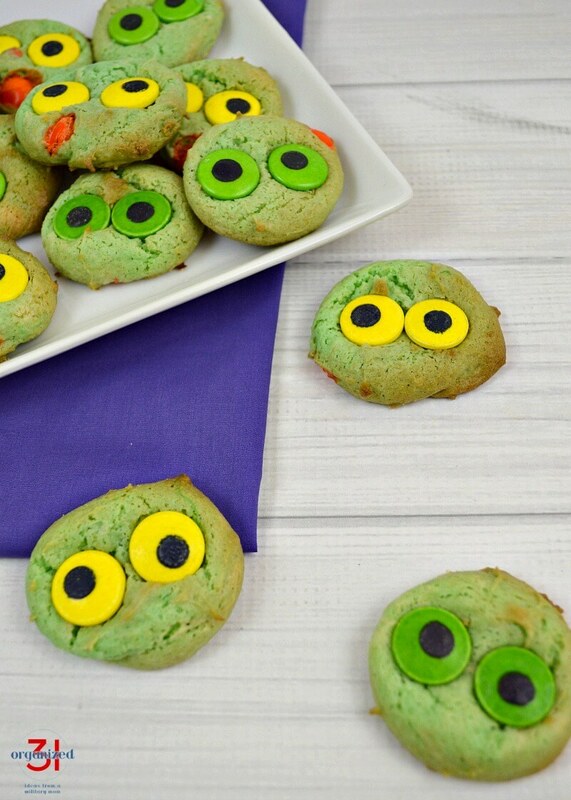 These Monster Eye Thumbprint Cookies from Mommy Musings combine chocolate and colorful bloodshot monster eyes! A little cute and a little creepy, perfect for Halloween parties! 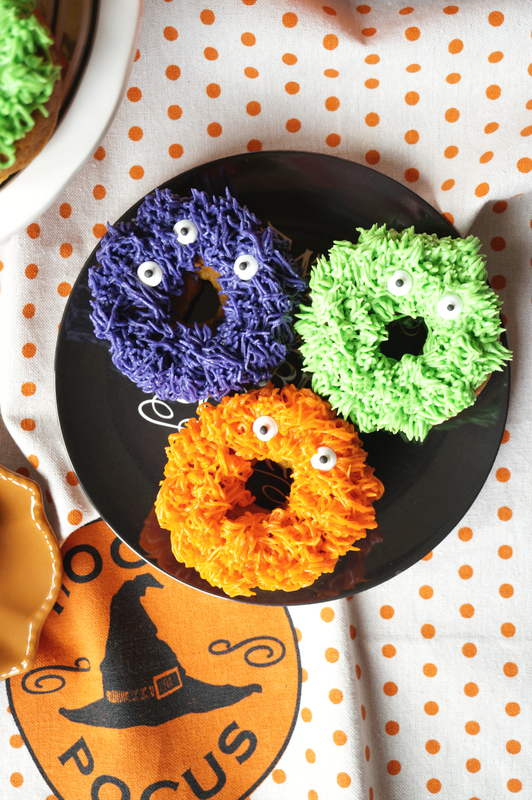 Who wouldn’t love these Fuzzy Monster Donuts from The Baking Fairy! 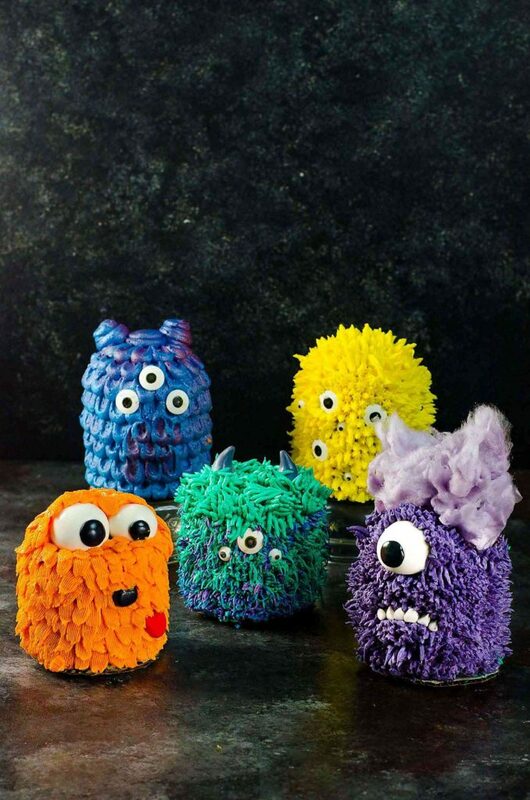 The cutest Mini Monster Cakes from The Flavor Bender I have ever seen. Choose one or more to make! 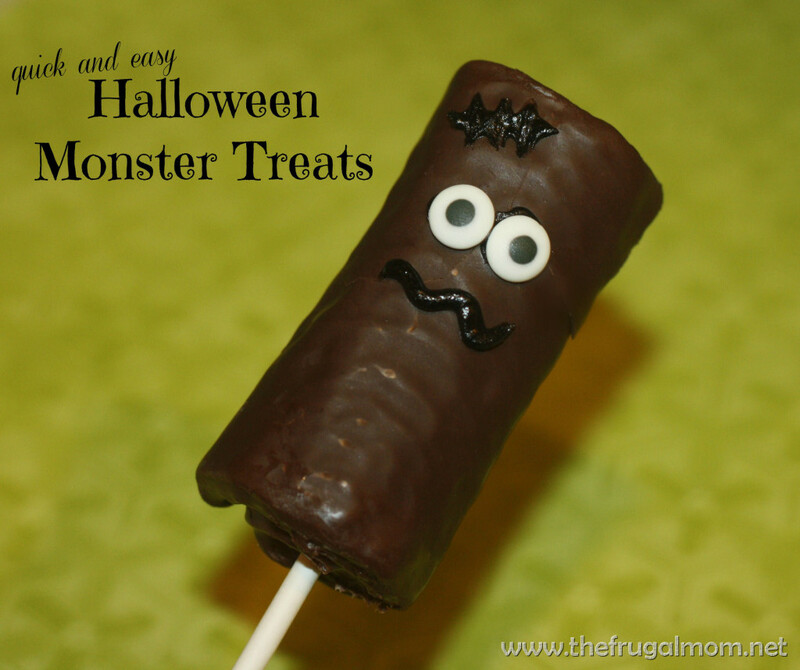 Easy and fun Halloween Monster Treats from Hustle.Mom.Repeat that any kids would love. 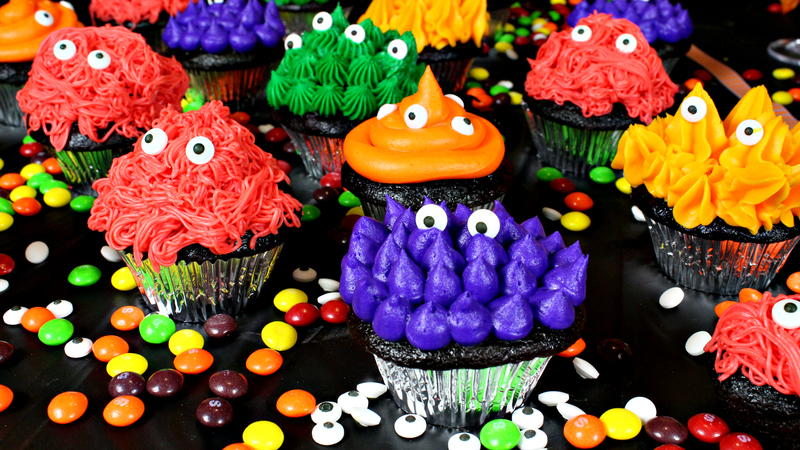 I love these colorful and cute Monster Cupcakes from Wanna Bite. 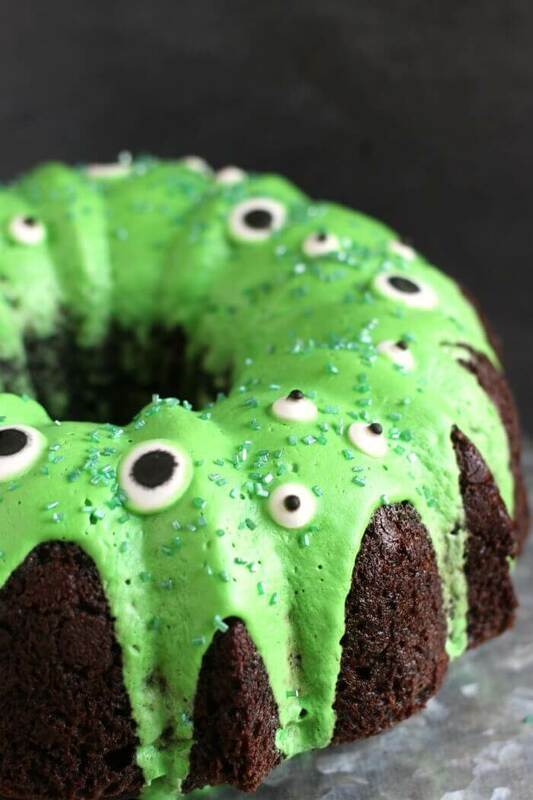 I don’t know who would love this Monster Bundt Cake from Mama Loves Food more me or the kiddos! 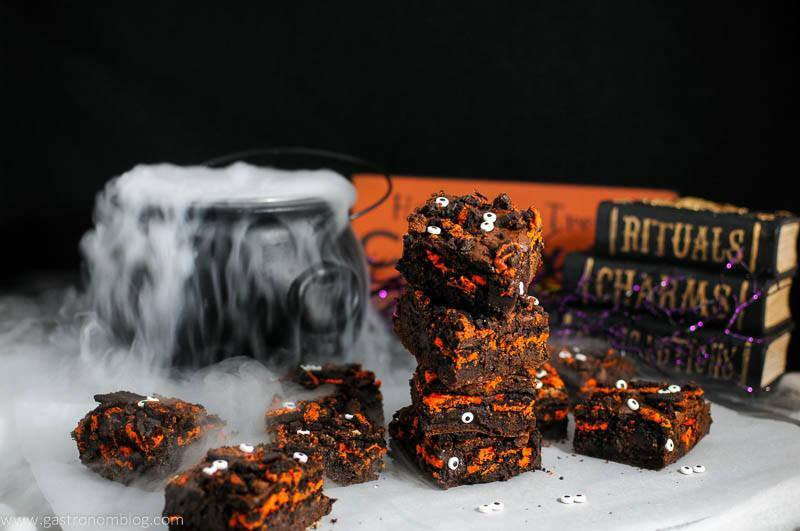 Who doesn’t love brownies and these Oreo brownies with a spooky twist will be the perfect addition to any Halloween party! Halloween Oreo Monster Brownies from Gastronom. These little monsters look cute and tasty. 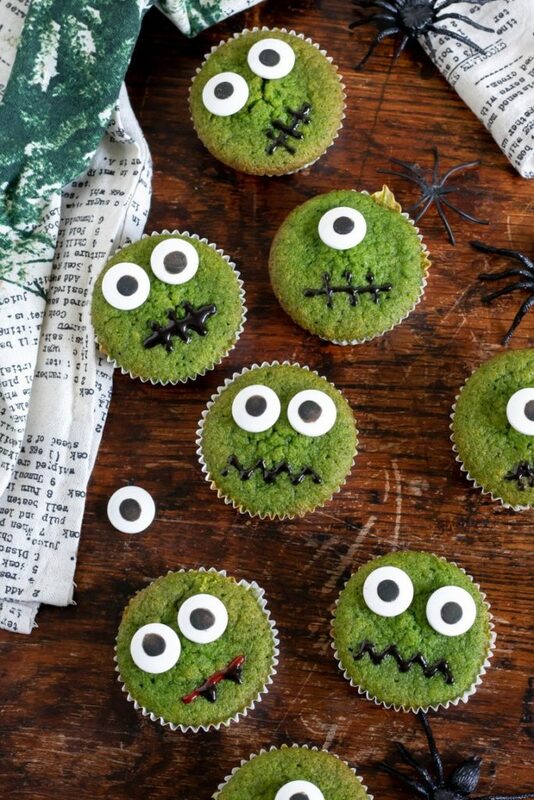 Check out the Halloween Cupcake Recipe from Veggie Desserts. Make these Halloween Chocolate Covered Pretzels from Garnish & Glaze with monsters and Halloween pals! 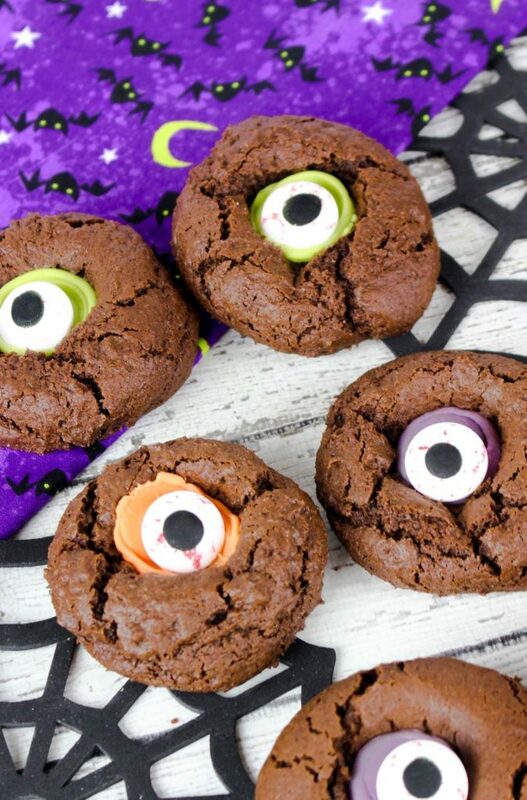 You know the little monsters will be all over these Swamp Monster Giant Chocolate Buttons from Eats Amazing! 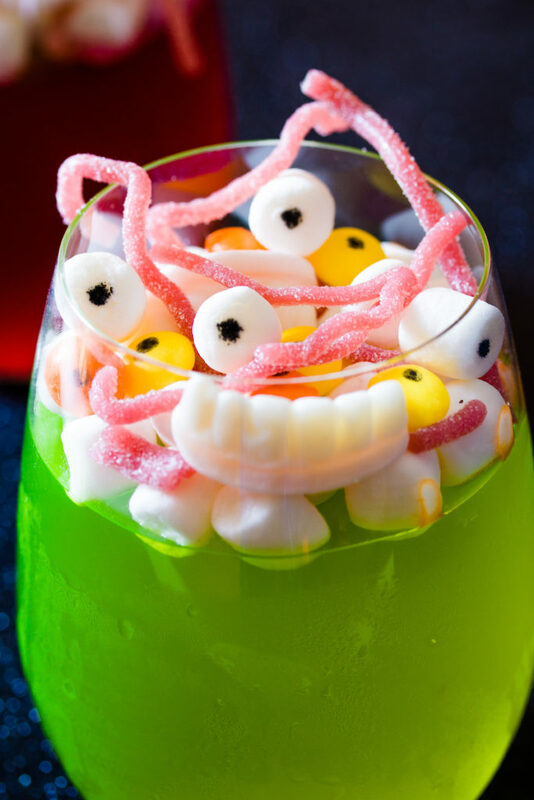 Gummy monster teeth and eyes make this Spooky Halloween Jello from I Knead To Eat extra spooky for Halloween! 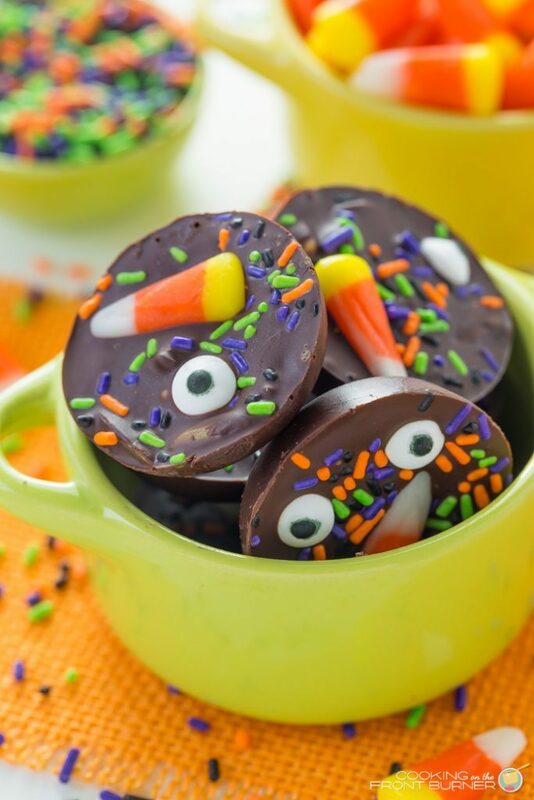 Not only are these Halloween Candy Bites from Cooking on the Front Burner adorable they taste delicious too! 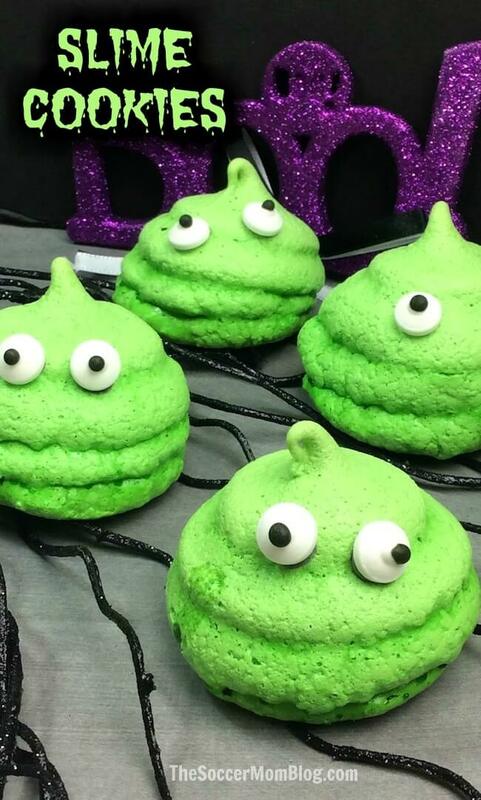 Yummy Blobby Meringue Cookies from Chicken Scratch NY make the perfect blobby monster dessert! Want a healthier Halloween treat? 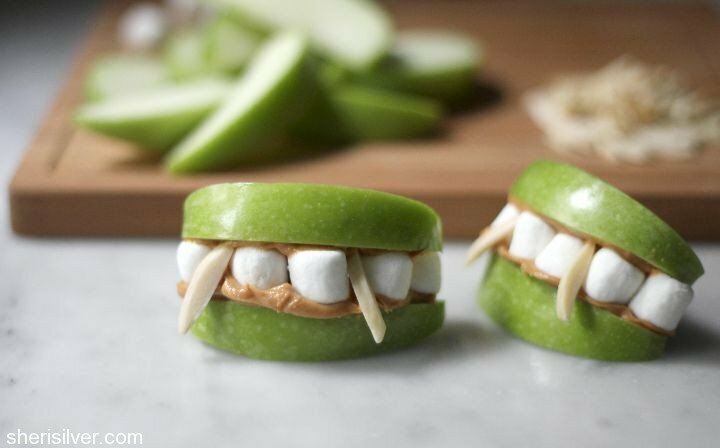 Try these Vampire Teeth Apples and Marshmallows from Sheri Silver. 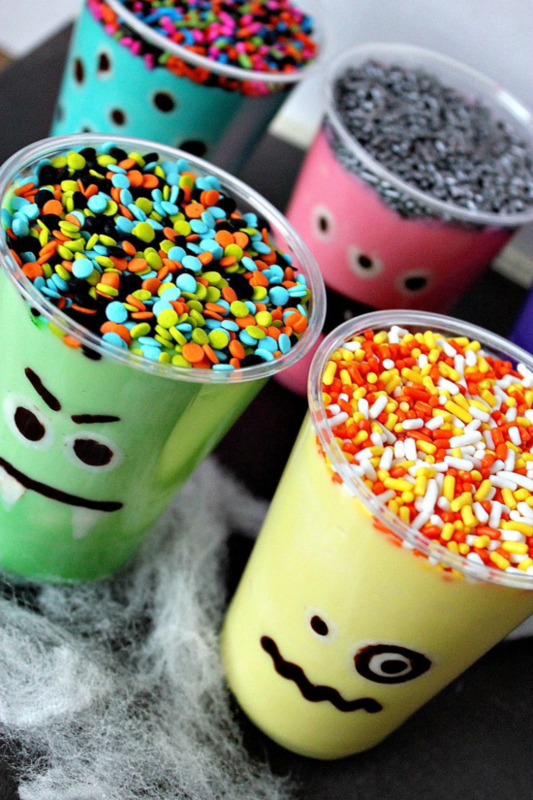 It doesn’t get cuter than these Monster Pudding Cups from Tonya Staab. 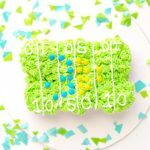 I love the sprinkles on top. 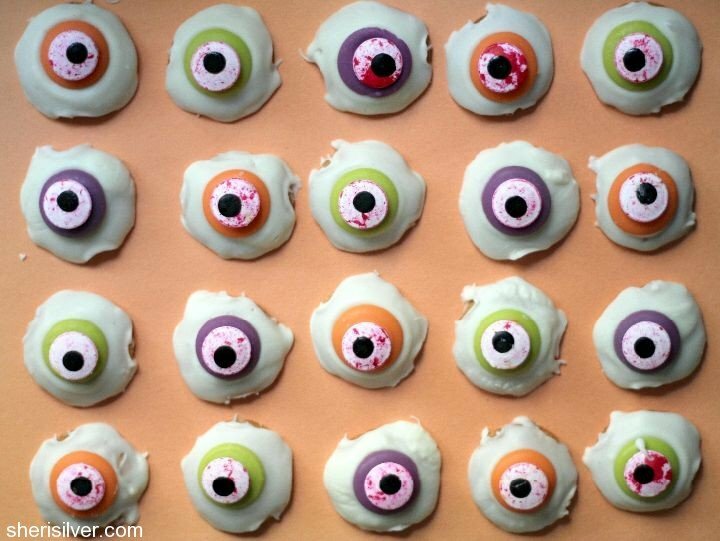 These Halloween Eyeball Cookies from Sheri Silver are a perfect Halloween party dessert. I love the bright colors with creepy bloodshot eyes! 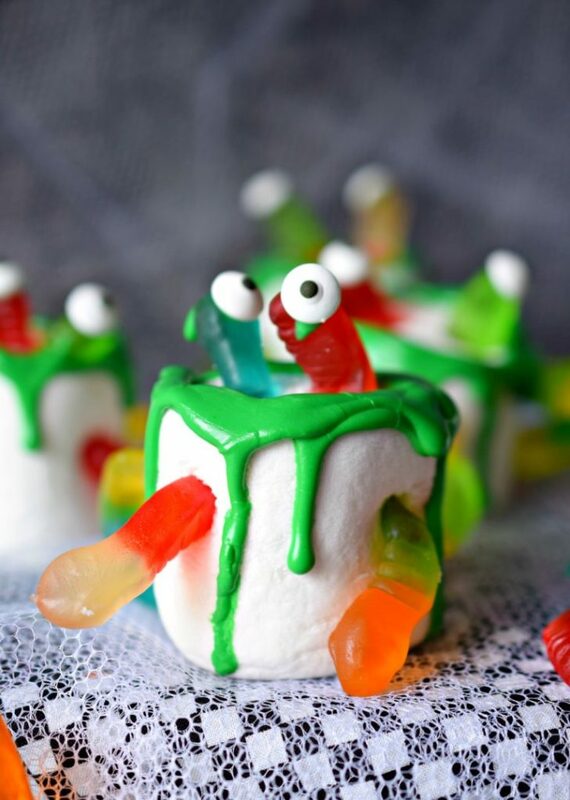 These Wormy Marshmallow Monsters from Who Needs A Cape are easy to make and an awesome Halloween dessert! 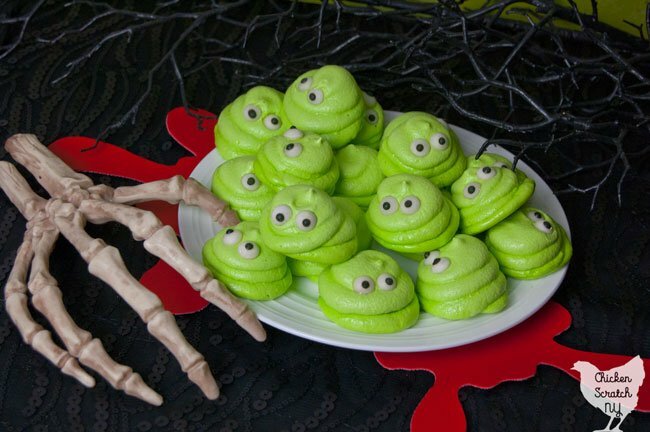 These Slime Cookies from The Soccer Mom Blog are spooky fun for Halloween! 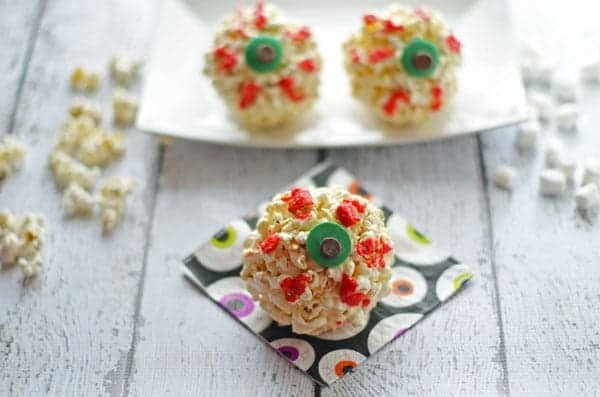 These Halloween Eyeball Popcorn Balls from Smart Savvy Living are a perfect Halloween party treat! 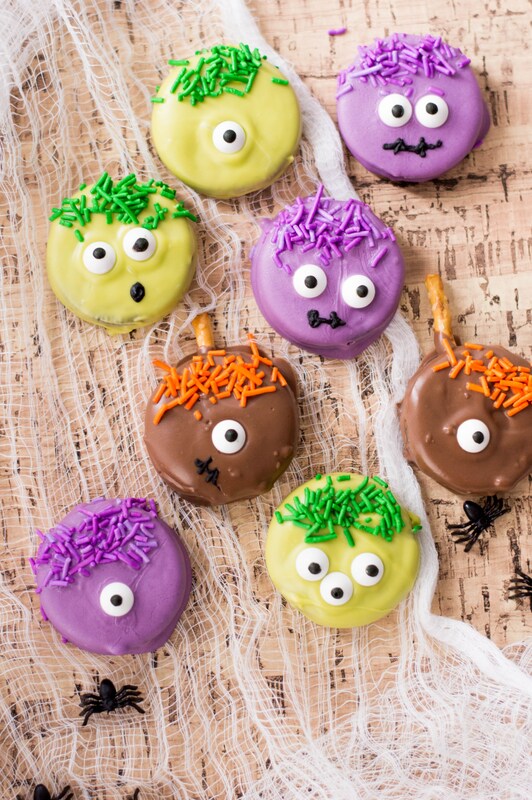 These Halloween Monster Cookies from Powered By Mom are the perfect Halloween treat to make with kids! 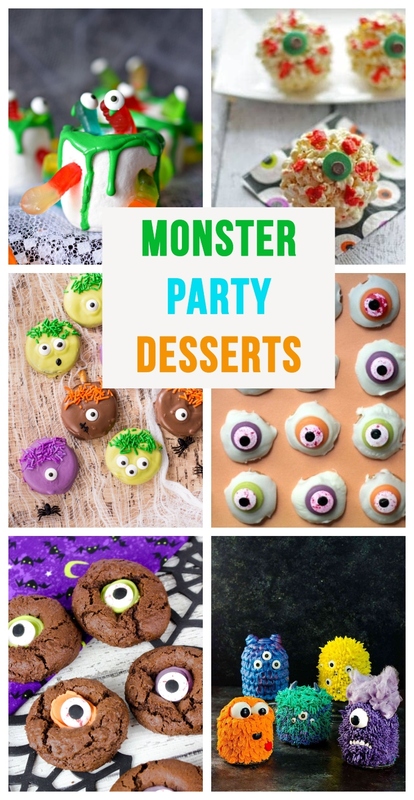 So much Halloween monster party dessert recipes for you to choose from and wow your party guests!